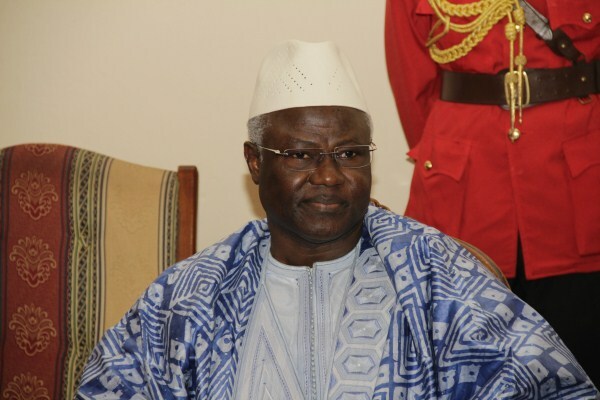 FREETOWN, SIERRA LEONE – President Ernest Bai Koroma yesterday (Monday) 12th September 2011 demanded an investigations committee to pursue recent violence matters to a logical conclusion. A committee comprised of the Sierra Leone Police, the civil society including Inter-Religious Council (IRC), and other enforcement agencies have been instructed by Government to look into violence that had occurred in the country and come out with credible outcome. Addressing a meeting held with the executive of the IRC during a meeting held at State House in Freetown, President Koroma acknowledged the role played by the council in the restoration of peace and tranquillity in Sierra Leone. He noted government’s total commitment towards consolidating and the maintenance of peace in Sierra Leone, while recalling the difficulties the nation went through, before it reaches where it is today. Considering where the country is emerging from, President Koroma said Government will continue with peace building efforts across the country through national cohesion. “When there is a commitment from stakeholders then the process should not be undermined, therefore as a government we are committed towards peace building. The recent mishaps in the country are an unfortunate for us as a country”, the Head of State charged. President Koroma said somebody was killed, others were injured, property were looted and destroyed, while some people are still in hiding, which warrant these situations full investigations. He reiterated; “we have condemned the act, and we can’t just stop at denouncing violence act as most Sierra Leoneans have done already. So, we have to pursue it to a logical conclusion”. The President disclosed that a group including the Inter-Religious Council and other members of the civil society have been appointed to join the Police carry out investigations into these matters, in an all inclusive manner so that nobody will have the opportunity to criticize the outcome of the findings. “Enough is enough, Sierra Leoneans have had much of violence in the past and nobody is above the law of the state”, therefore these matters must be looked into well and whoever is found culpable of any offence, will face the full force of the law. Be you a member of my party or not. Irrespectively of your political affiliations we are going to treat everybody as Sierra Leoneans and everybody should be subjected to the law”, declared President Koroma. According to the Head of State there will be no exception on the matter at hand which is why every Sierra Leonean should realize that the law is indeed supreme and there are rules of engagement. “There are divine rules that give me the freedom that assure you of your freedom and everybody must respect that”, he stated, and continued; “we don’t have time to waist but go straight into action by starting to investigate the matter now”. On behalf of the Inter-Religious Council, Rev. Tom Barnett chairman of the council told President Koroma that they were at State House to register commitment towards the President’s vision and further associate with themselves with his call for the inculcation of positive attitude. “We are here to present the Council’s position on the eruption of violence in the country so that we can go back and start engaging our constituencies with peace building messages through our various platforms”, said Rev. Barnett. He said as citizens of Sierra Leone the Council is well aware of the fact that there should be a radical change of attitude if the country is to move on, thus their meeting with the President was to recommit themselves towards to his vision. Meanwhile, Sheik Abu Bakarr Conteh and the Very Rev. Ajayi Nicol have been appointed to represent the IRC at the investigation committee. Why are You Blaming SLPP For Electing Maada Bio as Presidential Candidate? Call to Action to provide stronger leadership in reproductive health commodity security.